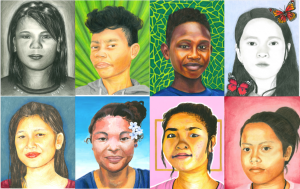 MSD students create portraits for teens in the Philippines. The Marjory Stoneman Douglas High School 2D art students, lead by art teachers Jacqueline Lieberman and Randee Lombard participated in the annual Memory Project. This year students drew portraits of children in the Philippines who are living in an impoverished environment. The Memory Project is a nonprofit organization that works with students to create portraits of children who face a range of extreme challenges. It has created more than 130,000 portraits in 47 different countries since 2004. Each year, the Memory Project partners with different charities in different countries, and this year the organization chose the Philippines. The Memory Project sends a photo of each child with their name, age, and favorite color listed on the bottom to each school. The students will then use the photos and favorite color of the child to create a unique portrait that will be sent back to them to have. 21 MSD students from various 2D art levels including AP, as well as art level 2 and 3, participated in the Memory Project this year. The goal of the Memory Project is to ensure that the impoverished children not only receive a special childhood memory in the form of art, but also feel valued and that their strength is recognized. “I enjoy participating in the Memory Project every year because I know how much it means to the people we are drawing that we took the time to create something for them,” senior Olivia Feller said. In previous years, MSD students have been given portraits of children that are much younger, between the ages of 3 and 10. However, this year, they received photos of teenagers closer to their age. “It was cool to be able to draw someone closer to my age, not only because it was more artistically challenging, but because I am looking at someone that is the same age of me, only in an extremely different situation,” Feller said. In conjunction with the portraits, the students donated $315 to the Memory Project due to the $15 cost per portrait, which the MSD National Art Honors Society fundraised to cover the cost of. The children have received their portraits and now the MSD students are expecting a video response of each child seeing their portrait for the first time. 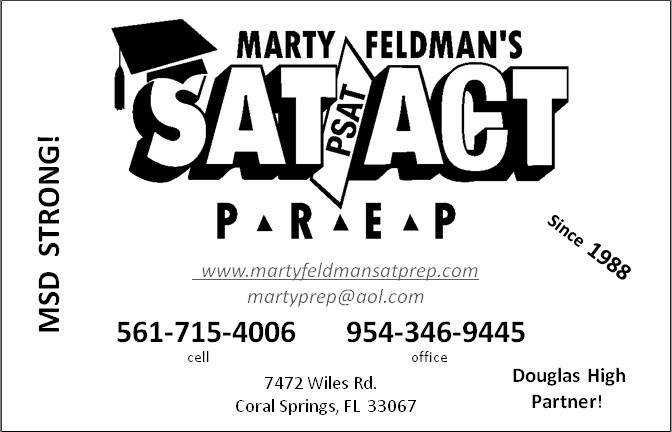 Taylor Morrison is a junior at Marjory Stoneman Douglas High School. She plays flute in the Eagle Regiment Marching Band. She also enjoys participating in track and field.